Creating an agenda can be quite a challenge. For example, an effective meeting agenda has considerations that need to be made and unforeseen circumstances that may affect it. Think about it, how many times have you missed important notes because you ran out of time? One must always keep track of the key points to be discussed within the time allotted. Writing an agenda has its perks. It keeps things organized at most. 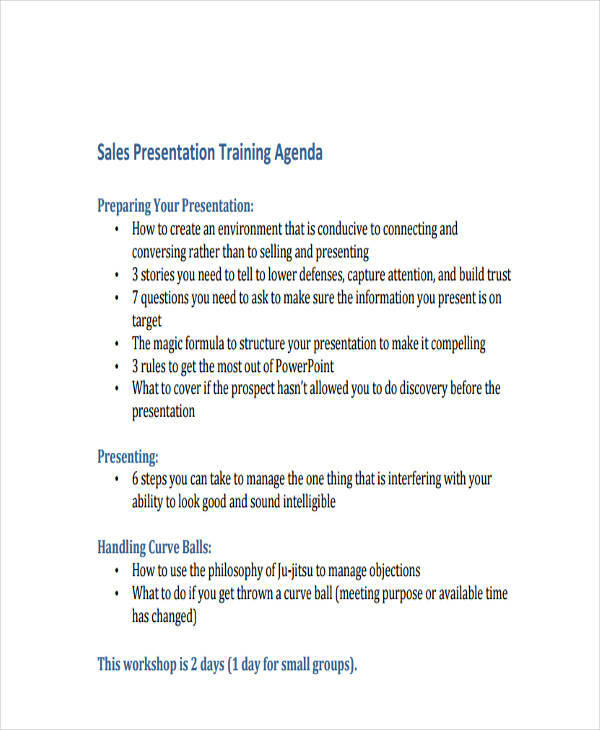 For instance, an agenda will allow a smooth presentation. It will allow a presenter to be prepared through constant practice and quick rehearsals. This is to ensure that the necessary topics will be presented accordingly. 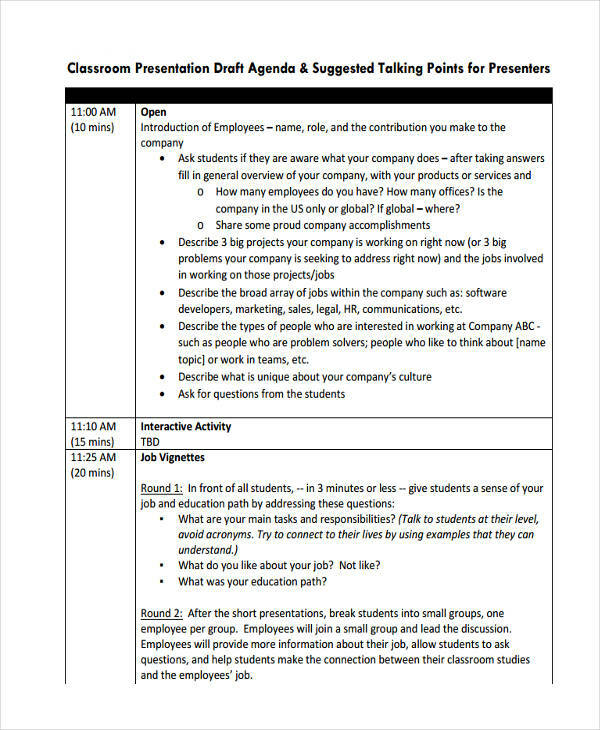 What Is a Presentation Agenda? 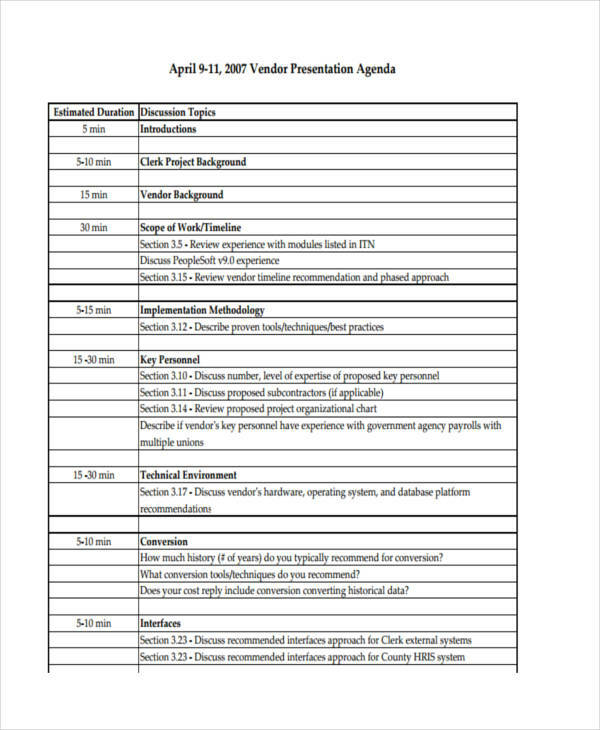 A presentation agenda refers to a list of activities and discussions that are to be addressed to an audience. 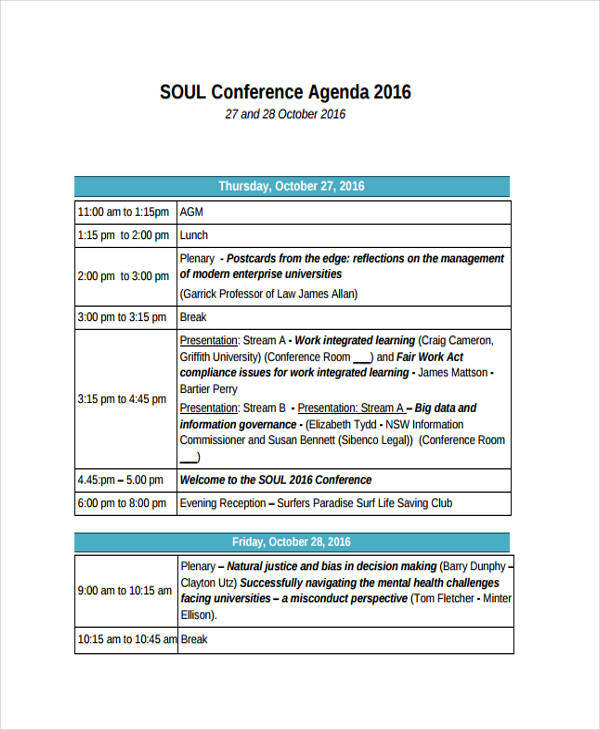 It typically includes the work schedule, the list of speakers, and the topics to be covered during each session. It is very distinct from the common agenda templates & examples as it often comes in tables with specific instructions and information. 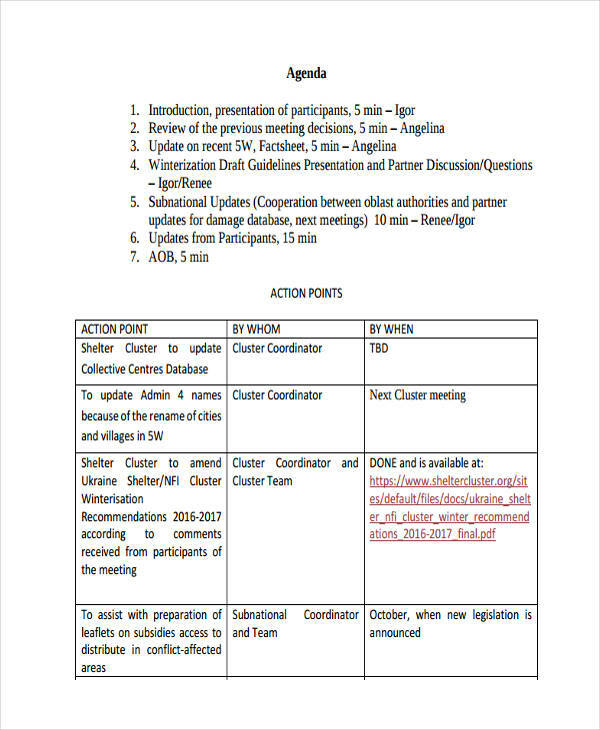 It is distributed beforehand to inform participants of general details. It also allows speakers to prepare their necessary materials in advance. However, like every other agenda, it’s still subject to probable changes. It’s important that you first recognize your audience. Your speakers and listeners might be of a particular age group or profession. It might be wise to use simple and relatable terminologies for everyone to understand. Remember to provide interesting and useful information for your audience. Refrain from sharing unnecessary details as it can only create confusion. 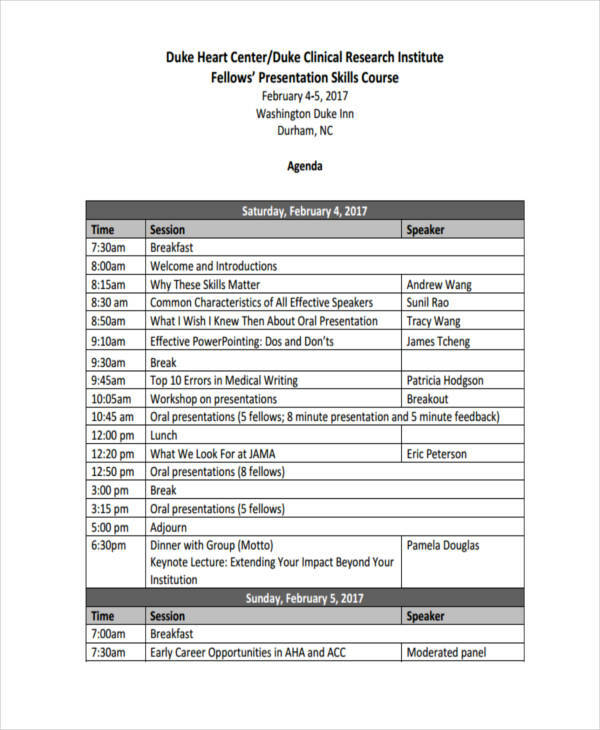 Similar to a meeting agenda, a presentation agenda may include a strict time schedule. Each detail should be organized accordingly. Make sure copies of the agenda contain correct and updated information before it is distributed. 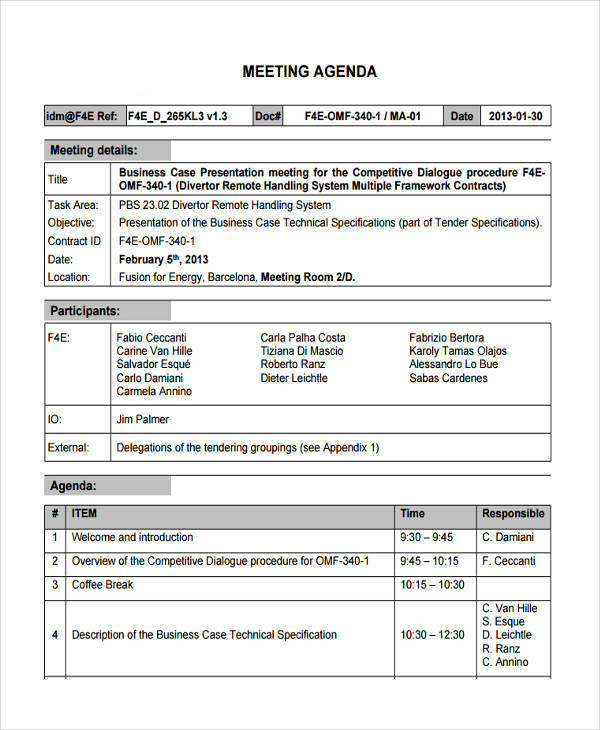 A presentation agenda should start with the main subject matter. It could be an event title or the main topic to be covered. It may then be followed by the event’s duration period or the time allotted for the discussion. The venue may also be stated if necessary. It can also include the name of the speaker who shall present. 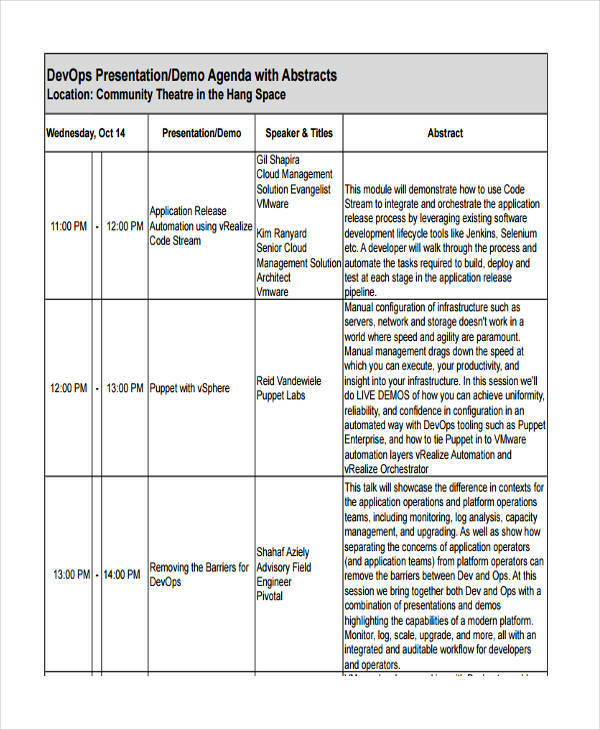 You may also use agenda examples in PDF as your guide. Organize details accordingly. Agendas are meant to keep things in an orderly matter. Make sure details are arranged into readable sections. Include a time duration. A time estimation for each session will guide speakers and their audience alike. This is to ensure that sessions stay right on schedule as much as possible. State necessary instructions. This is so participants may have the chance to prepare in advance and be mindful of what to expect. Distribute copies to participants. 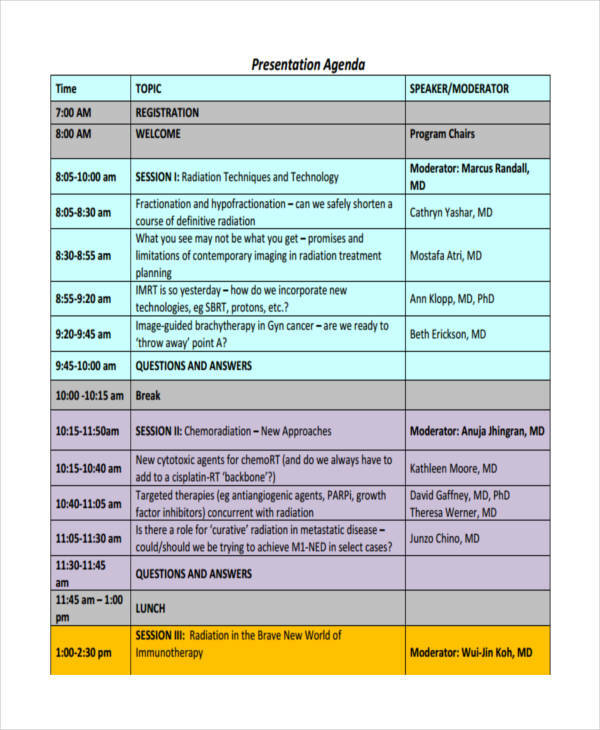 You need to be able to inform participants ahead of time through a printable agenda. They may also be distributed electronically if needed.